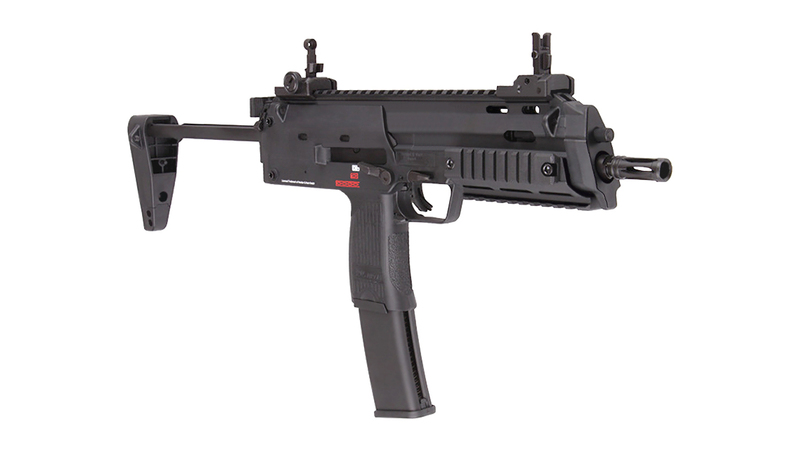 UMAREX H&K MP7A2 NAVY SEAL GBB SMG reworked by VFC, now the internals, the majority of which are made of steel, are very similar to their new line of M4s so you can expect this version to be incredibly robust. 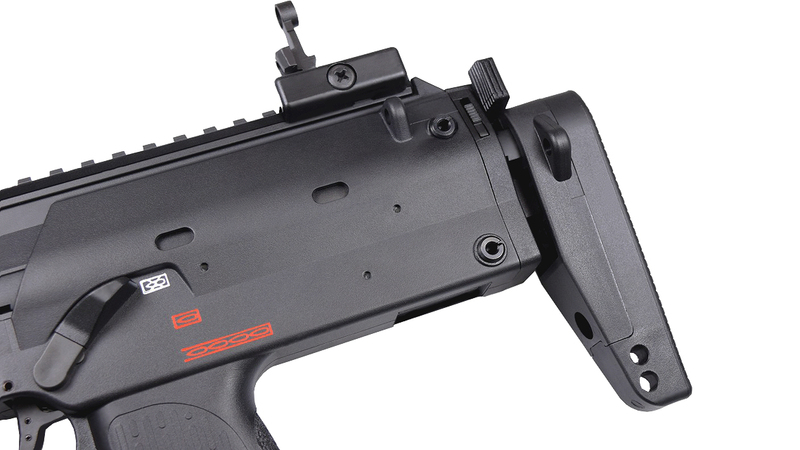 Steel internals means that it'll last much longer than any other MP7 out there. 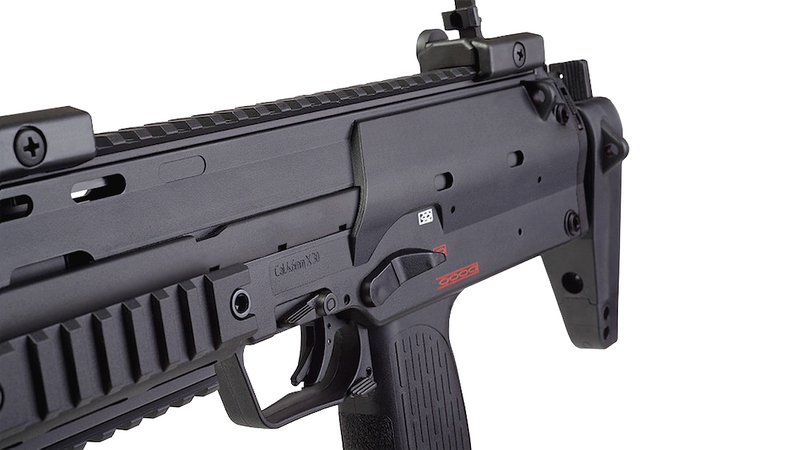 Like KWA, they too have fully licensed markings with authorization from Umarex themselves. 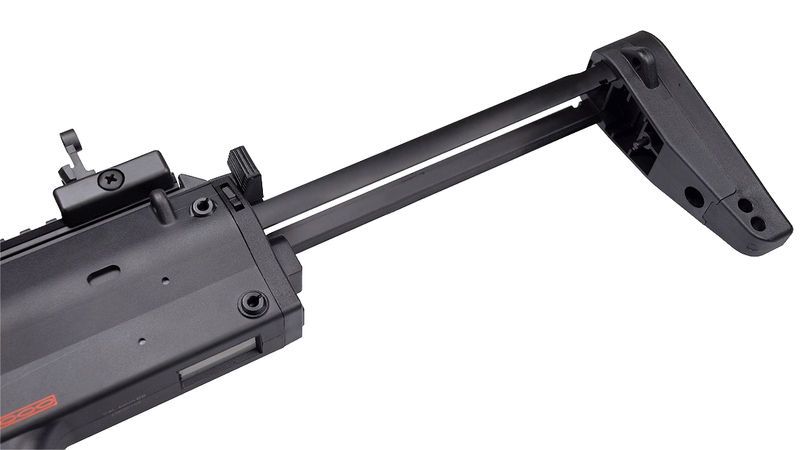 Not only does it look like masterpiece out of the box, it's solid, sturdy and very light weight which is something you definitely want in an MP7. 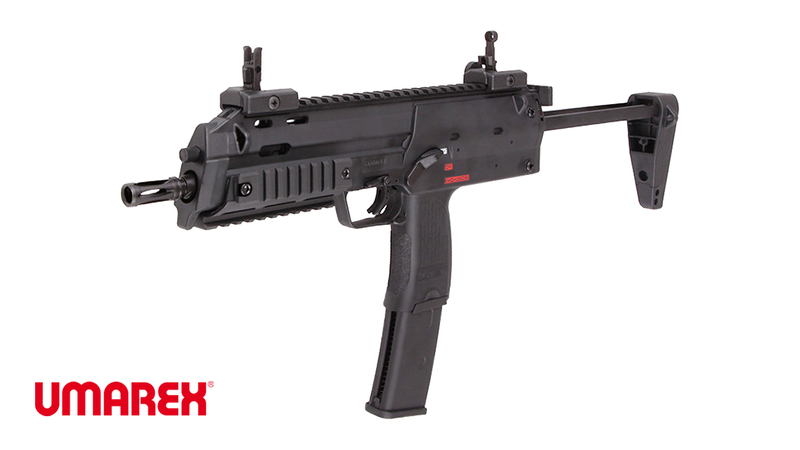 It weight a little less than the real steel MP7 by Heckler & Koch, but that doesn't matter, this is an airsoft replica after all, and a beauty at that! 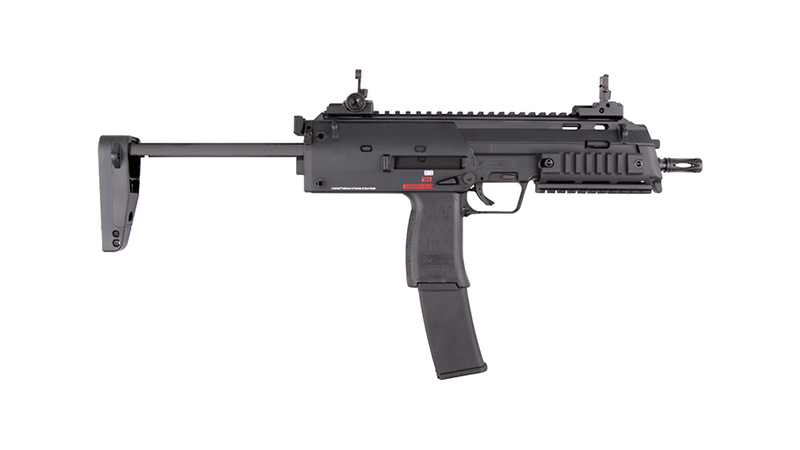 Not only does it look great, but firing the MP7 will most certainly bring a grin to your face with a very hard kick and a scarily fast rate of fire. 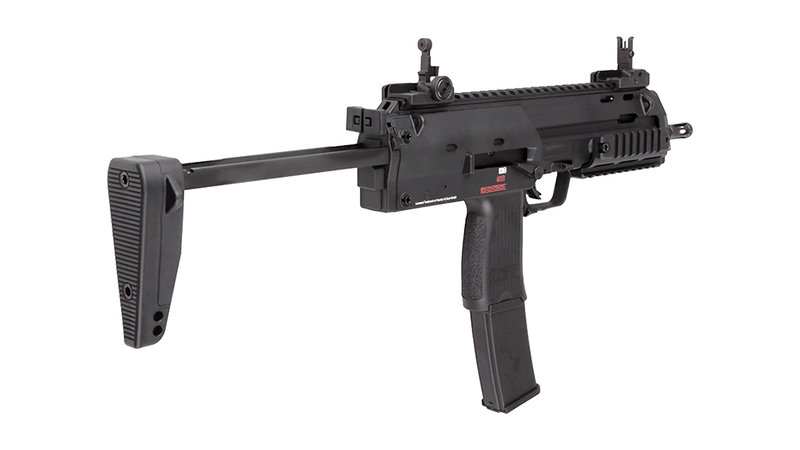 The VFC MP7 GBB SMG can challenge both KWA and TOKYO MARUI in both performance and reliability on the field. 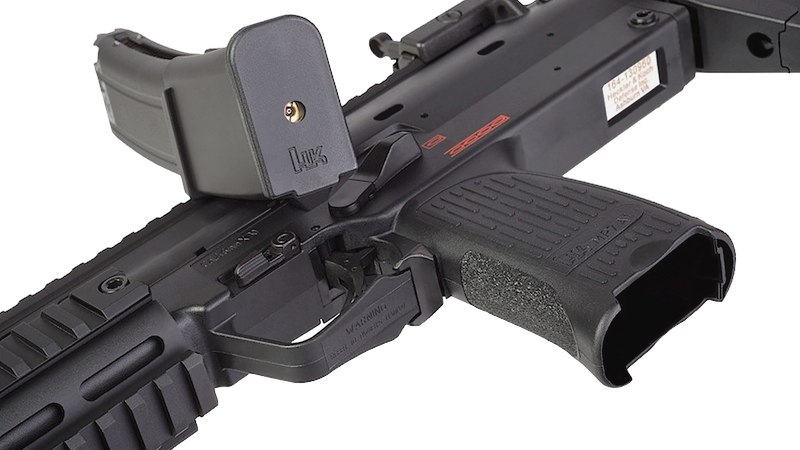 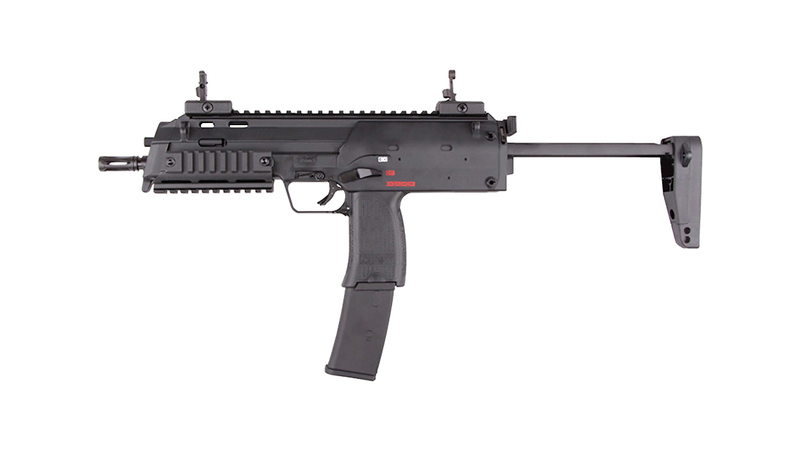 It's completely ambidextrous the Umarex MP7A1 is perfect for those up close encounters. 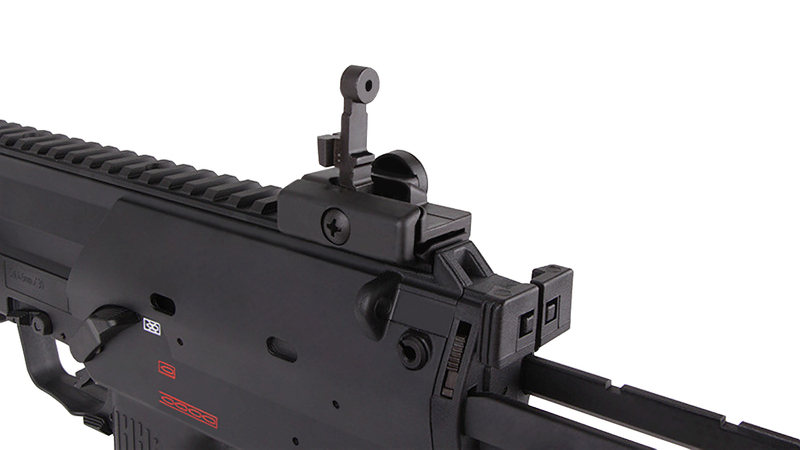 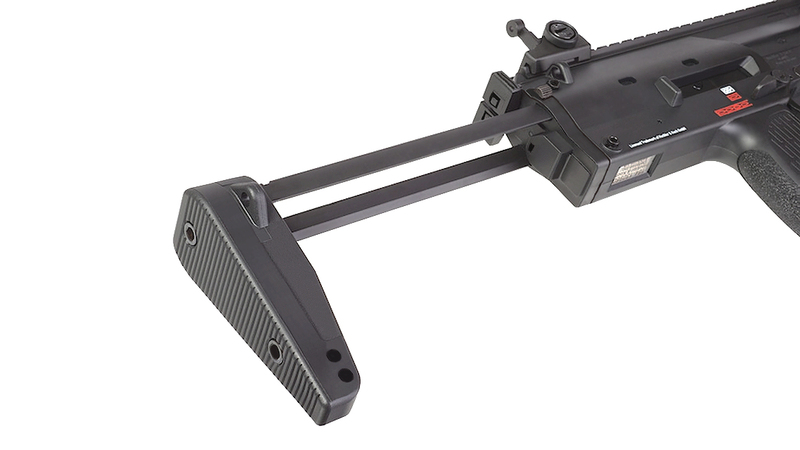 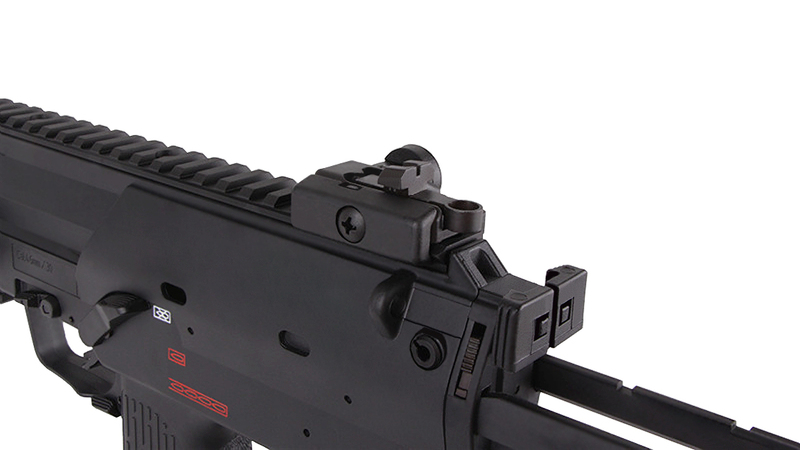 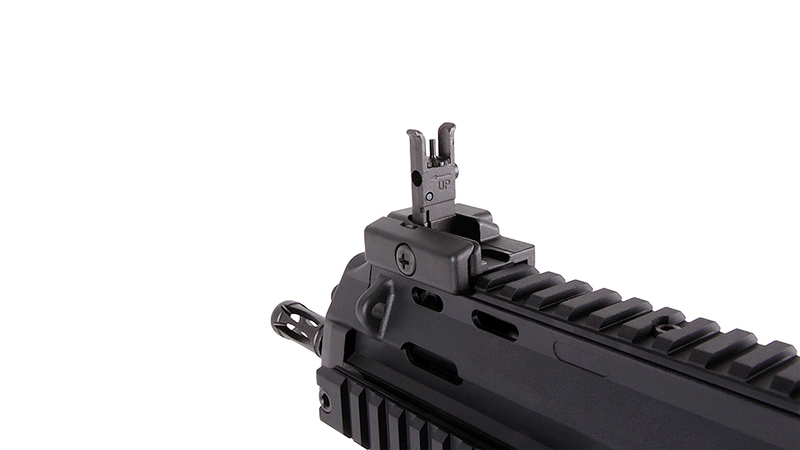 Its iron sights feature 2 settings, low profile tri-dot sights, as well as the higher profiled rifle sights. 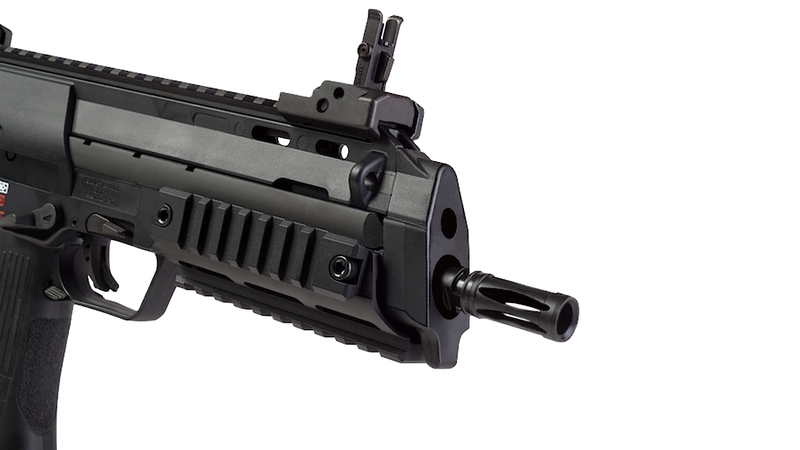 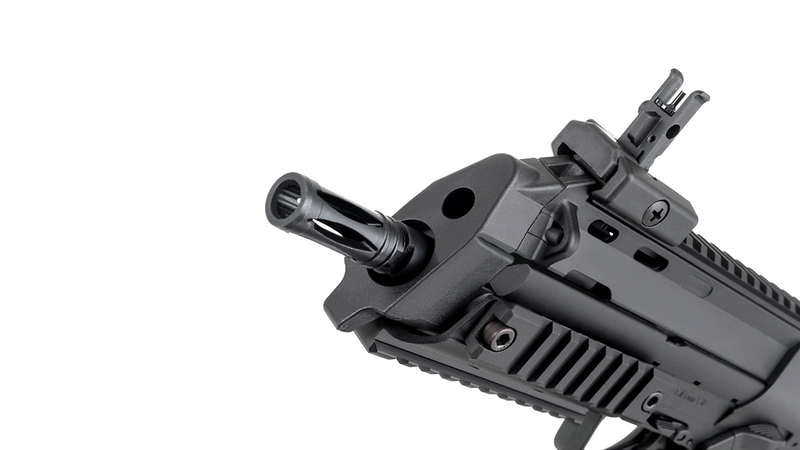 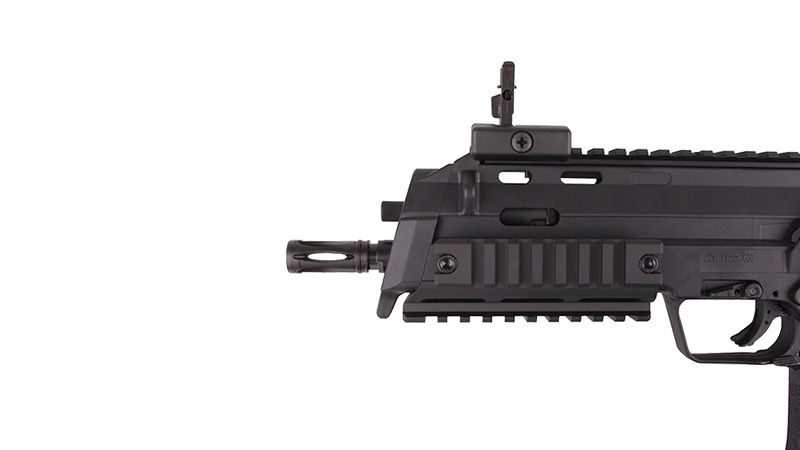 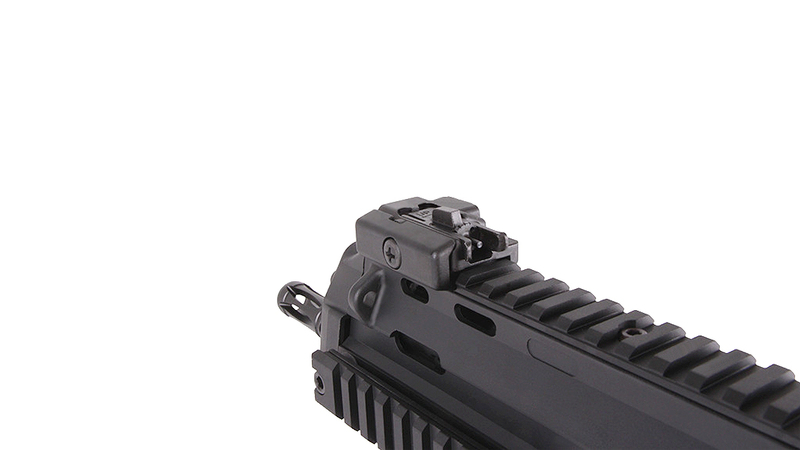 This version has an upper rail for your additional sights and a fold out fore grip for more stability.